Since computers came into existence they have always taken their own time to boot up. The loading screen is something everyone is used to spending at least 30 seconds of their time every time they boot the system. With the introduction of the BIOS technology in the 1970 did not really change things or improve them either. Experts actually agree that BIOS was never designed to be used for this long. A new initiative is being taken to make computers boot faster and a new start-up software known as United Extensible Firmware Interface or UEFI for short will soon be replacing the good ol’ BIOS. This new UEFI software will be able to boot up computers in a matter of moments and will be gradually integrated into new computers. According to a research a typical user waits about 30 seconds before it boots up. An amazing observation is that older computers take the same about of time to boot like the newer computers indicating no boot time improvements were made. 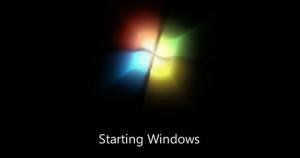 Windows 8 to Boot in 8 Seconds – Fastest Ever! Next Facebook Steals Numbers and Data from your iPhone!